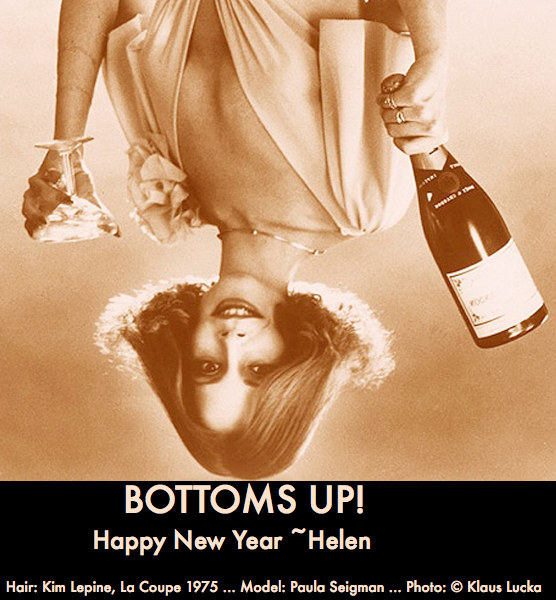 Posts Tagged "Bottoms Up! La Coupe"
Home » Posts Tagged "Bottoms Up! La Coupe"
Happy New Year. Bottoms Up! This straight, all-one-length classic bob, was angel curled on tiny tongs, thin, like a pencil, with the bottoms up, in 1975. The color was a gorgeous Mandarin/Mango shade, so new then it had to be flown in to the US for the photo shoot from La Coupe in Montreal.